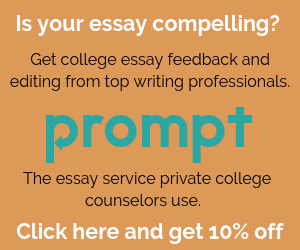 Does the prospect of writing your Common App essay fill you with fear? You are not alone. In the ten years I’ve worked with high school seniors on their college admission essays, I’ve helped them brainstorm their topics, find their writing voices and create essays that reflect their authentic selves. Are there essay topics I should I stay away from? And what strategies will help to make my essay stand out (in a good way) from the pack? First and most important – Your essay should be written by you. When a weary college admission staff person flips to your application folder, they want to hear your own authentic student voice. Your essay should sound like it was written by a 17 or 18-year-old because it was written by a 17 or 17-year-old. Sure, you can have help to brainstorm an essay topic – and you can ask a trusted advisor to read your draft. But you should be the sole author of your essay. Tell a story that is uniquely you. For that is what an amazing college essay is – your own story. A story that reflects your character, your experience, your personality and your values. As you consider which prompt to choose, think about…What hasn’t already been said about you in the other parts of your Common Application? What is unique about you that a college should know? Every high school student – you included – has a compelling personal story to share. You may have to dig to find it, but it is there. How my grandparent’s death affected me. The challenge of my parents´ divorce. The goal I made in the big game or the goal I didn’t make in the big game. How I helped poor people on my community service trip to a foreign country and learned they are just like us. Be honest, but do not over-reveal. You do not need to tell the college admission staffer about the impact a nose bleed had on you while you were taking the SAT. Share a slice of life story from that reflects who you are – your character, your values, your heritage, your developing sense of self. Do you visit your grandfather on his farm in Vermont every summer and to help build a new workbench in his barn? Tell a story of one day at the farm. Give specific and vivid details. Make the reader feel as if he or she was in the barn right there with you. Write about the time you discovered you might want to become an architect, a cardiologist or a teacher. Show how you found this out through a story about a single experience you had. Demonstrate your passion for fly-fishing, coin collecting, coding or bicycle repair. Write about what you learned, how you learned it and why the activity appeals to you. Let your passion for your hobby jump off the page. Help the admission staff understand how you were transformed by your father’s recovery from alcoholism, your older brother’s suicide or your mother’s chronic illness. Remember the essay is about you, what you learned and what you didn’t, not about your relative. Relate your enthusiasm for the subject you want to study in college to your personal experience. 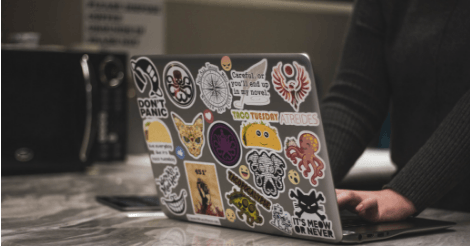 If you grew up as the youngest sister in a family of four older boys and struggled to have your voice heard at the dinner table, perhaps that is why you want to major in communications. Tell that story! Do you have a quirk to your personality? Were you the tallest girl in the third grade who overcame her shyness to join the high school crew team where your height finally worked to your advantage? If you have a diverse background or are a first generation to college applicant, share that through a narrative about yourself. Did your Macedonian mother marry an American farm boy from rural Indiana? Offer descriptive details that show your life through sensory descriptors such as aromas, sounds and tastes. Invite your reader into your story with a powerful first line. Open with a dialogue or action. Start strong to grab the reader’s attention. After setting the stage in you first paragraph, go deeper with details in your second, third and fourth paragraphs. Perhaps weave in another aspect of your experience and relate it to what you talked about in the first paragraph. Relate your experience learning how to play the tuba to your passion for repairing old bicycles. Grab attention through compelling anecdotes and examples. Vary your sentence length and your paragraph length. Keep the reader interested throughout. End strong. Do not simply repeat what you have already said. Make your essay memorable! How to Polish Your Essay Before Submitting It. Even if you think your first draft may be fabulous, it isn’t. Put your first draft away for a day or two. Take it out again and re-read it. Does it say what you want an admission person to know about you? Revise, revise, revise. Even if you hate revising. Read your essay aloud. Do your hear your voice coming through? Spell check will not find all of your errors. Trust me on this. Simple words are often best. Have a trusted advisor read your essay to help you catch errors – but DO NOT let anyone else write the essay for you. Resist the urge to over-edit. The essay should capture your voice and your tone and no one else’s. I hope these tips help you write a Common App essay that showcases your best self in the college admission process. These suggestions worked well for my students; follow them so they can work for you, too. From one college essay coach to another: excellent advice here Nancy. You captured the most important elements of creating a solid essay. Colleges just want to get to know you, so students should keep that in mind as they decide what interesting thing about themselves they want to share.